I’m back home again after a a family holiday at the beach. I don’t know how you travel but for us we always have somewhere to be and while our trips may take us through gorgeous parts of the country we’re always too time crunched to stop to explore. As we zipped across Shelter Island, somewhere I’d like to explore further, the image at the top of the page came to mind. It’s a view across Crescent Lake. I was obviously drawn to the reflections in the mirror smooth lake. At the time I was zipping down to Forks but decided that since there wasn’t any pressure to be in Forks at a particular hour I’d stop. I spent probably 20 or 30 mins photographing at this spot, working out of the back of my car with the music blaring. Most certainly a good time. I never saw the lake flat enough any other time during my visit to the Olympic National Park for this kind of reflection. If I’d done what I was thinking which was to ‘get it on the way back’ the shot wouldn’t have been there. What was also cool was another photographer pulled in behind me and introduced himself – Jack Graham – a very familiar name to me. I’d looked at his guide to photographing in washington state and at his workshops as part of my researching potential ONP workshops. At the time I ended up going with Art Wolfe but having met Jack and emailed him a few times afterwards I’d recommend his workshops any day. This experience not only underscores the need to get the shot when you can but also that by getting off the usual rails that we run on we may stumbling into interesting opportunities. 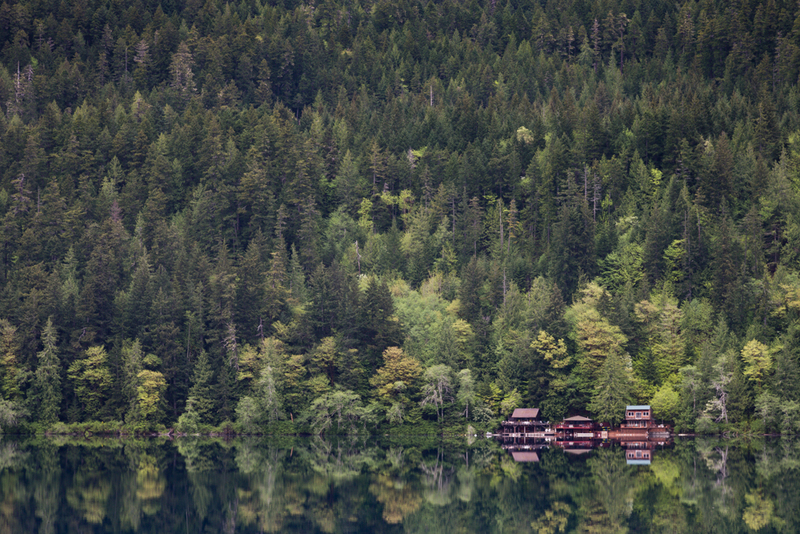 This entry was posted in Uncategorized and tagged Color, Colour, Crescent Lake, Jack Graham, Learning, New York, Olympic National Park, Photography, Reflections, Shelter Island, Washington State, Workshops by nixonphoto. Bookmark the permalink. I’m not sure I could like this image any more than I do. Great shot Andy. And even better job of listening to the voice in your head that told you to stop and get the image. It makes all the difference! Thanks Andy! I do wonder how much I should listen to the voices though. Great shot and point. I ran into the same situation recently. I drove by a shot, rethought it and went back to get it. I’m glad I did.